Exploring Muslim-friendly Toronto and Canada, in general, is a must in my opinion for every Muslim traveller. Whether you are in a mood to explore the nature or historical sites or maybe a stroll through the most dynamic districts, Toronto has no shortage of places to visit and things to do. This multiculturally diverse city is vibrant and easy to navigate. Every visit will give you a new reason to fall in love with the city, it could be witnessing the different seasons painting the city a disparate colours every time or a new adventure that’ll give you the adrenaline rush. 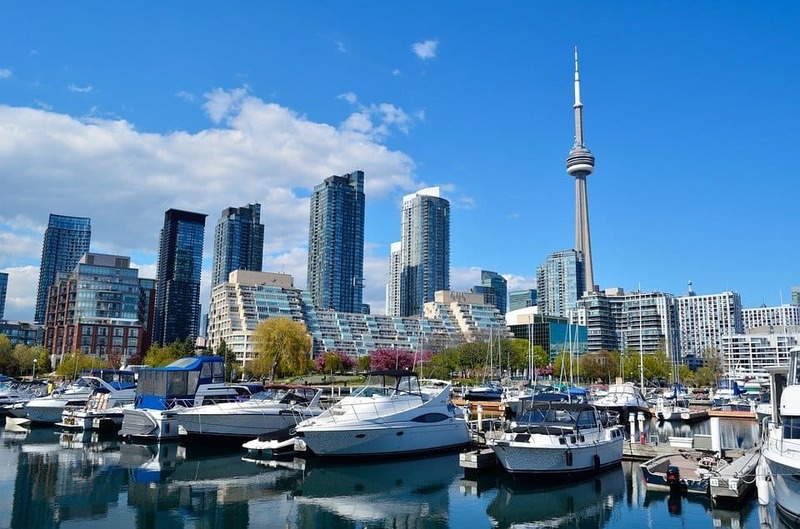 With plenty of Muslim friendly and halal food restaurants in Toronto and mosques for prayers at easy reach, Canada is a great addition to breathtaking getaways around the world for Muslim travellers and families. 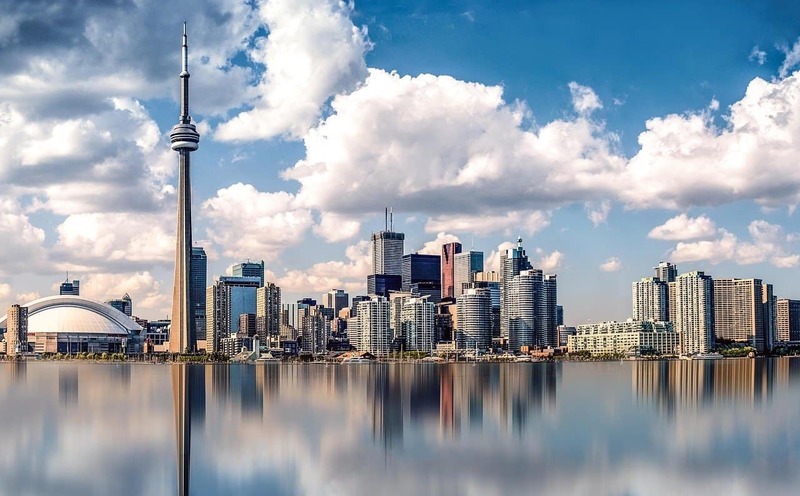 Here are some tips and ideas to get you started with your travel planning to Toronto and by the end of this article you’ll be convinced that Toronto is a Muslim friendly destination. If you are looking at exploring the city and witnessing the street life come alive, I’d suggest you visit Toronto anywhere between the end of April to mid-October. You’ll witness the city switching through the spectacular colours during three climates spring, summer and autumn. If you’d love to be a part of the festivity, lights and experience snow then anywhere between November to March is a great time to visit the city. Just keep in mind that temperatures are very low and if you don’t like cold, you should visit during the spring. I went in March and it was still Zero Celsius. I loved driving around Canada and definitely found it easy to navigate so highly recommend it if you want to explore the country. But planning to get around the city through the bustling everyday traffic in Toronto may not be the best idea to use your time effectively. Although having a car gives you the freedom to get anywhere you’d like without depending on the set schedules, it is also an expensive and time-consuming affair. Parking during the business hours is mostly paid and could potentially rip your travel budget off. Explore the city on your own using the Go trains, TTC subways, bus service and streetcars. They pretty much help you get to most iconic landmarks and stops in Toronto and even outside Toronto if you don’t want the hassle of a car. The other option is to keep the rental car in the parking for a few days while you are exploring Toronto before you move onwards. It was definitely an option I was contemplating. The two official languages here are English and French. But this city is all about diversity and welcoming all different nationalities under one roof, hence you’ll find Arabic, Chinese, Italian, Hindi, Tamil, Portuguese and Spanish as common languages as well. An approximate of CAD 100 a day is good enough for your holiday in Toronto. Breakfast for $ 15, Lunch $ 20 and dinner for $ 25, you could use the rest on picking up souvenirs for friends and family back home. These are the top 5 places you can’t really miss if you want to enjoy some Muslim friendly holidays in Toronto. It’s impossible to visit Toronto and miss CN Tower which was once the world’s tallest tower. Don’t miss out on the eighth wonder of the world when you get a chance to. 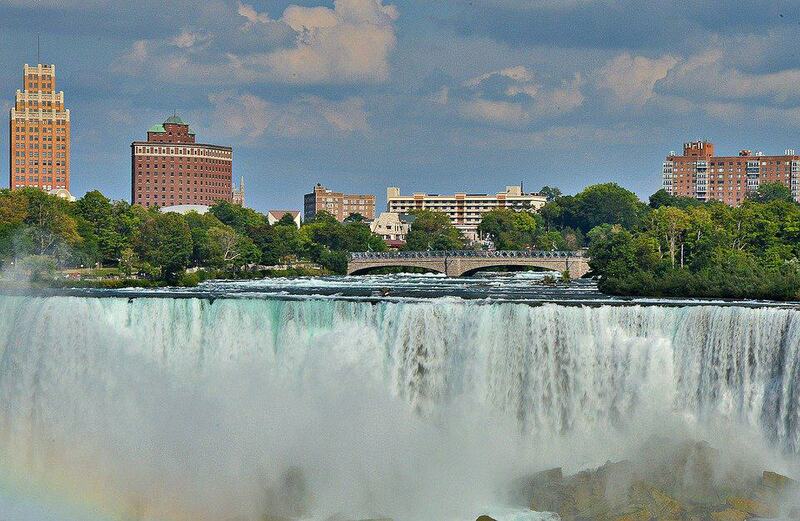 Just about two hours drive from Toronto, Niagara Falls is a spectacular site that’ll help you create a month-long content for Instagram. Also, there are many halal food restaurants in Niagra falls so you won’t go hungry either. Just check them below. Experience Canada’s largest indoor aquarium with over 16000 aquatic species and entertaining live shows. Every minute here teaches you something new about undersea life. They are also on Groupon so you can find a good offer on entrance fees here. Discover Toronto’s majestic castle with a secret passageway, gothic towers and huge lands of gardens, Casa Loma, is a legendary house with loads of history hidden between the walls. Toronto has many museums, but the Royal Ontario Museum is highly recommended amongst all of them. From ancient dinosaurs to African art to natural history, the Royal Ontario Museum is Canada’s largest and has an enormous collection of cultural and historical items. You can find opening hours and more information here. Delve into Islamic arts and culture at Aga Khan Museum which was a gift to Toronto from billionaire spiritual leader and philanthropist Aga Khan IV. Here’s an interesting information to save you some money, admission to Aga Khan museum is free every Wednesday from 4 to 8 pm. Riverdale Park: Enjoy a picturesque view of the skyline at this oldest park in Toronto. 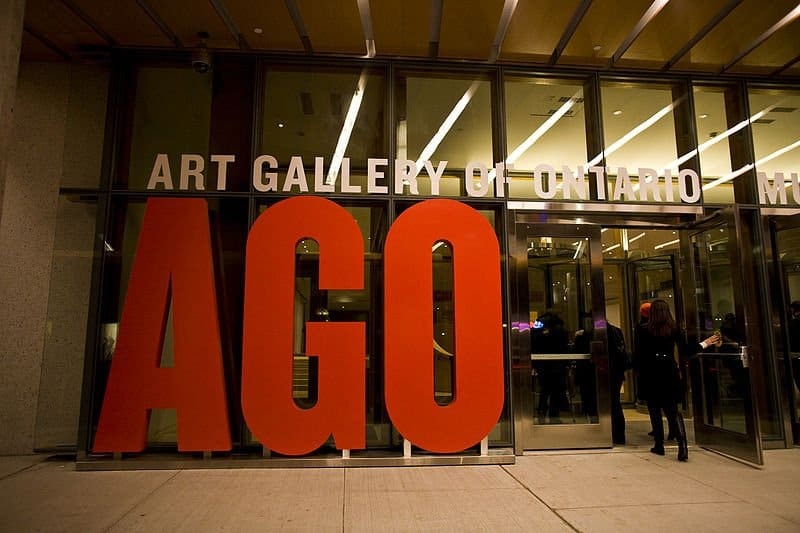 Art Gallery of Ontario – If you have a real love for art, don’t miss out on this art gallery of Ontario which features over 90000 mesmerizing works. Free Admission is on Wednesdays from 6 to 8:30 p.m.
Kensington Market – This walkable bohemian neighbourhood has a long beautiful display of street art and a great view of the skyline. From vintage stores to funky stores and food markets, this diverse market multifaceted. St. Lawrence Market – You can go window shopping or real shopping together in the historic building. While all the above recommendations may sound very touristy, we have some unusual places that you could consider in your itinerary as well. Because, why not? If you are a bookworm and you love to read then you would be fascinated by a visit to one of the most enchanting libraries in Canada, the Thomas Fisher Rare Book Library houses the Rare and Special Collections of the University of Toronto is a must visit. Another one of our unusual recommendations would be the sewers of Toronto, atypical one right? These old yet well-maintained sewage tunnels in Toronto are right out of Marvel comics. Another one of our unconventional recommendations would be to check out the Half house of Toronto also known as the world’s nastiest spite house. Get a Toronto CityPASS® which costs about $70 which includes five of the top spots in Toronto. You could visit CN Tower, Casa Loma, Royal Ontario Museum, Ripley’s Aquarium of Canada and Toronto Zoo/Ontario Science Centre for as little as $70. Another way of exploring the city and general sightseeing is to get on the Toronto City Hop-on Hop-off Tour. It will you around from one prominent site to the other for as little as $38.00. My favourite way of trying to cut cost on major attractions is always checking out what the local Groupon website has to offer. Sometimes they have great deals that can save you even more money than expected especially on the City tour buses. Just as they say, some of the best things in life are free. There are plenty of free things to do in Toronto if you are looking at exploring the city in a budget-friendly manner. From parks to museums to cultural centres and markets, you’ll have many options to choose from. Perfect opportunity to enjoy some Muslim friendly activities in Toronto without breaking the bank. Check this post out: The Ultimate Guide When Exploring Zurich plus it's Muslim Friendly. Take the public transport when you can rather than opting for a car rental. 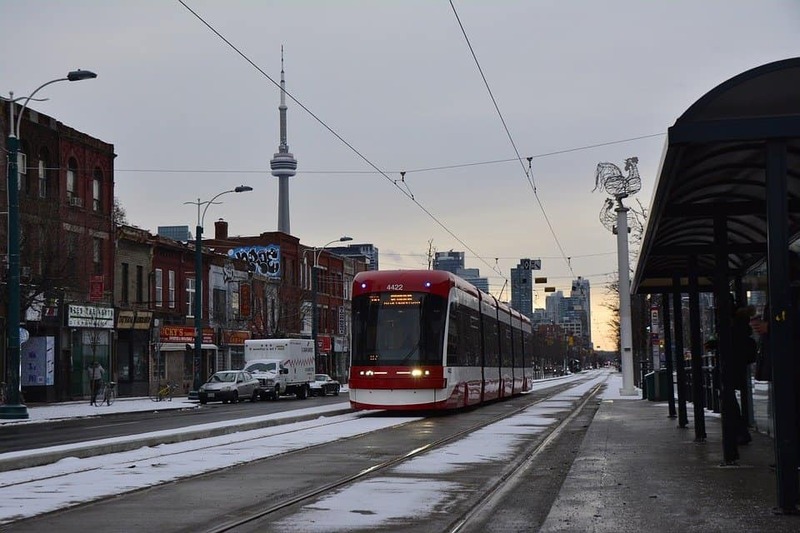 The connectivity through the streetcars, buses, and subways will help you get around the city without having to worry about the parking hassle and traffic hassle. Keep the change and coins handy for smaller purchases or savouries on the go. A loonie and toonie could help you get through small purchases without the hassle of foreign exchange and credit cards. Mall, Yorkdale Shopping Centre, etc. 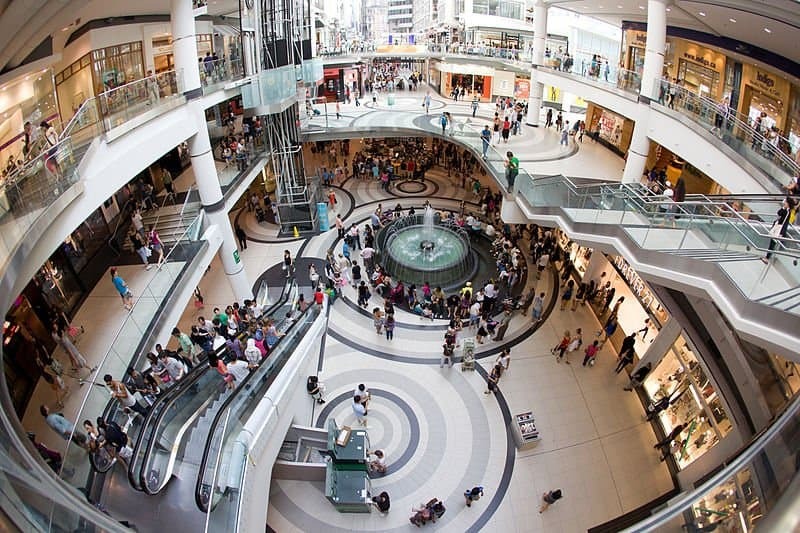 Some other good places for shopping include Chinatown, Yorkville, Bloor St., Queen St., etc. But remember, the taxes are quite heavy, so pre-plan your purchase. This culturally diverse city welcomes all nationalities and all religions. We all know that there is no Halal travel in Toronto without finding a mosque to pray and local Muslims to meet, of course, the best place to do this is the local mosques. While there are numerous mosques in Toronto some of the best-known ones are Madina Masjid, Muslim Association of Canada-Masjid Toronto, Islamic Information and Masjid Ut Taqwa Mosque. Just use Google off offline if you need to keep their addresses. On their websites, you can also find the Toronto prayer times when you plan to visit. Finding halal food in Toronto is definitely not a difficult task. While, food has become a passion for most Toronto residents, thanks to the diverse population here, Halal food is widely available. These are our top 5 favourite picks of 5 halal friendly restaurants. Some of these are food chains and restaurants are available in multiple locations. With so many travel deals there are many cheap flights to Toronto you can take advantage of. Recently there were options for as little as £250 return to. 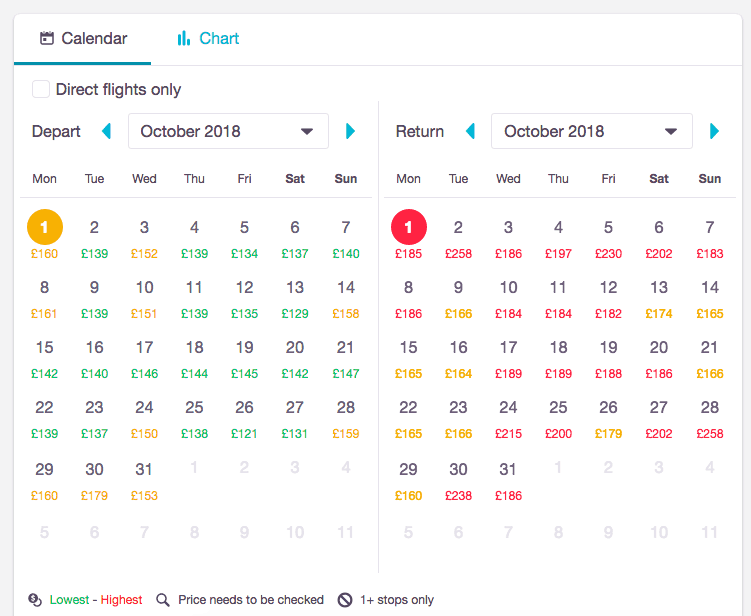 I usually search my flights on Skyscanner first to pick the approximate dates with cheap flights as they offer the calendar view and then book them on Momondo if there is a price difference. You can use the links here for Skyscanner and here for Momondo to check them. Accommodation in Toronto is not a difficult task at all. The hotels in the city centre close to everything are affordable and start from as little as £80 a night. 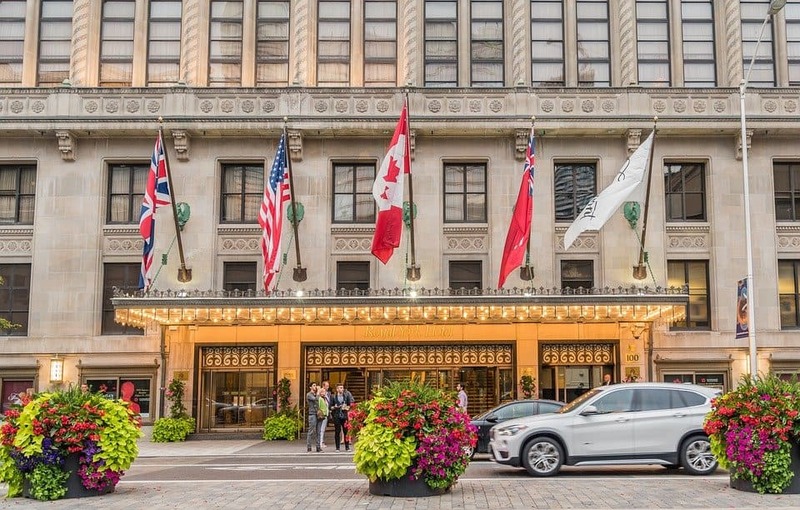 Search here for the best hotel accommodation in Toronto. Also, Toronto has great Airbnb options that offer new flats with great views over the CN tower for as little as £100 per night for a 1 or 2 bedroom. My favourite list you can find here from my trip. Toronto is a fascinating city and we personally find it a very Muslim-friendly cosmopolitan city where you can feel at home. Canadians are very polite and friendly, they are always happy to help, you get to see so many Muslims and meet local communities while also exploring a beautiful city. Enjoy your halal travel experience in Toronto.